Ko Racha Yai is known for crystal clear waters and some of the best dive sites and snorkeling areas close to Phuket. Ko Racha Noi is located to the south of it’s sister island and is one of the best locations in the area for game fishing and experienced scuba divers. These picturesque islands have been somewhat of a private paradise for scuba divers for years. Just to confuse you, these Islands are also known as the Racha Islands, Raya Yai and Raya Noi and the Raja Islands. However you choose to spell them they are definitely worth a visit. Stay a couple of nights and enjoy the tranquility the island offers or go for a day trip from Phuket for a fun day of snorkeling or scuba diving. 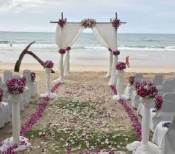 Ko Racha Yai is a relatively small island that lies around 20 kilometres south of Phuket, which boasts two of the most stunning beaches and a small number of other secluded bays. A hill top viewpoint on the bay’s south offers a magnificent view of the whole Island. Take a walk around some of the island's pathways and you will be treated to views of wonderful coconut groves and the occasional water buffalo grazing nearby. With the white sandy beaches on Racha Yai and expanding accommodation, the island has grown in popularity. Day trips boats arrive daily from Phuket, bringing with them plenty of day trippers that spend the day swimming, snorkeling, diving or just relaxing on the beautiful beaches. The main beach is called Ao Tawan Tok, which is also known as Batock beach, a stunning horse shoe shaped bay with powdery white sand that has a floating pontoon in the middle. 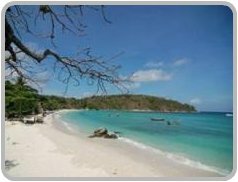 This spectacular beach is perfect for snorkeling; a large portion of this beach belongs to the luxury Racha Resort. The only downside is that the bay gets quite busy with speed boats, dive boats and fishing boats that come and go throughout the day. If you are looking for a beach that is not so busy with boats, take a short walk to Siam Bay. This stunning beach is about a 10 minute walk from Batok Bay, here you will find the longest stretch of beach on the island. The shallow clear waters of Siam Bay is a great place for swimming, beginner divers and snorkelers. 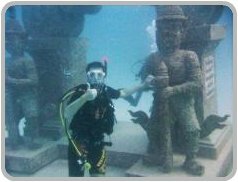 On the northern edge of Siam Bay is an artificial reef that the Thai government created in 2006, this underwater park consists of giant elephant statues, a Thai temple that is guarded by a yak and other attractions. The best diving at Ko Racha Yai is off its east coast which makes it especially attractive during Phuket's southwest monsoon season. On this protected side of the island there are some small bays, they are not great for swimming, however they offer some of the best spots for snorkeling and scuba diving. Lha Bay and Ter Bay, are both rocky little coves. Kon Kare Bay is located south of Ter Bay and is one of the best spots for diving on the island, it is also the location of the Ban Raya Resort and Spa. The main activities at Racha Yai are swimming, scuba diving, snorkeling and game fishing at Ko Racha Noi. If you are looking at spending a few nights at Ko Racha Yai there is a great selection of accommodation to suit all budgets. 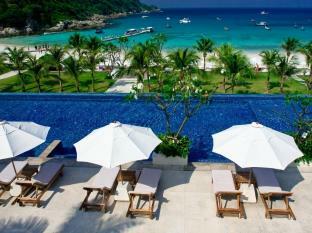 The Racha Resort is a luxurious 5 Star boutique resort, featuring elegantly designed villas. The villas are spacious with views overlooking one of Thailand's most spectacular bays, an ideal destination for honeymooners or a relaxing romantic island getaway. Ban Raya Resort and Spa is set amongst coconut palms and tropical gardens, conveniently located beside Kon Kare Bay, one of the best spots around Racha Yai for diving and snorkeling. 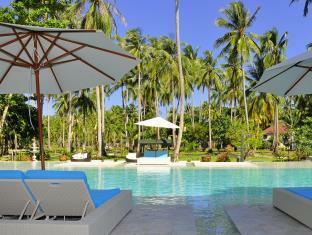 Ban Raya Resort is a wonderful place to unwind and relax in a warm, friendly and tranquil atmosphere. 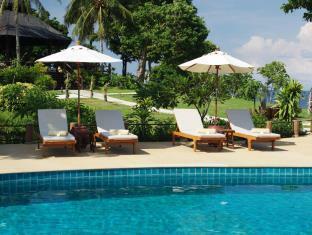 Rayaburi Resort overlooks the picturesque Siam Bay one of the longest and widest beaches on Raya Yai Island. The resort features 28 spacious en-suite rooms with a unique mixture of authentic Thai-style beach resort facilities. There are also some basic bungalows on the hill between Batok Bay and Siam Bay for around 1000 Baht per night. Racha Noi is located about 10 kilometers south of Racha Yai and is a very popular dive site for experienced divers. This island is uninhabited; and there is no accommodation on Racha Noi. The waters around Raya Noi are best for scuba diving and are a favorite spot for game fishing. 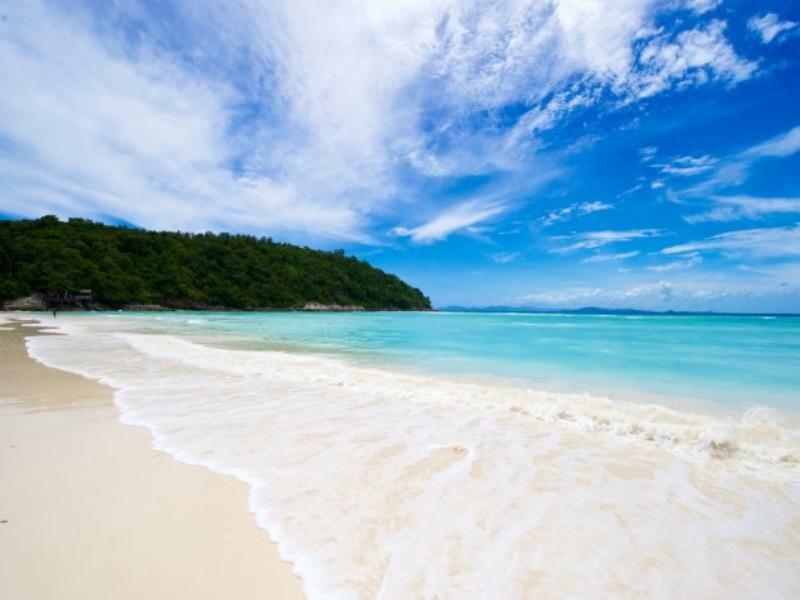 There are many tour companies in Phuket that offer different types of day trips to Racha Island from snorkelling, scuba diving, snuba diving and troll fishing tours. If you are looking to go on a scuba diving day trip to the Racha Islands from Phuket, we found the team at Phuket Scuba Club to be fantastic and can highly recommend their professional service. 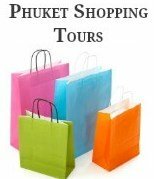 Day trips can be organized by tour operators and travel agents in Phuket or you can contact Easy Day Thailand to assist you with booking a day trip. If your looking for something special you might prefer to hire your very own privately chartered speedboat and driver for the day. If you want to stay overnight, speed boats transfers can be organised from Rawai or Chalong Pier, the trip will take around 45 minutes depending on the conditions.